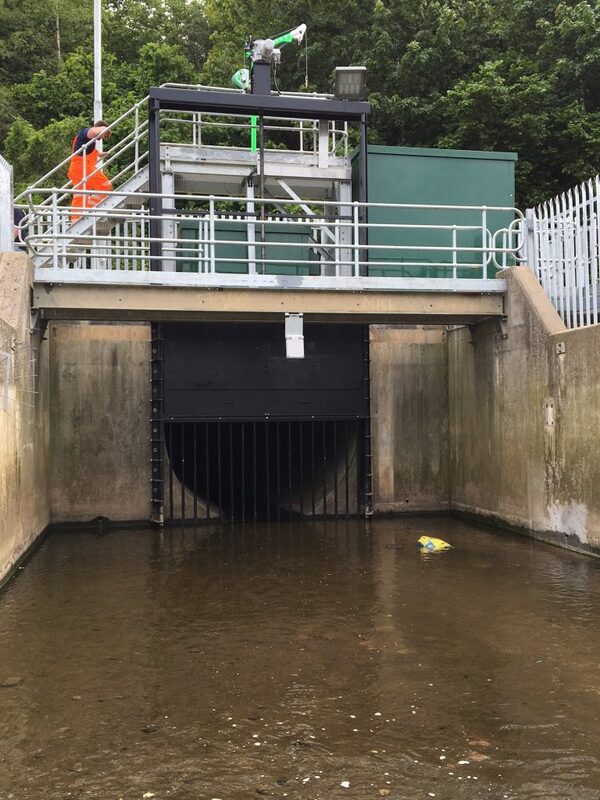 ACE DKOS Double leaf Penstocks are a combination of the KOAS and KOS models, allowing precise level control, but the additional ability of quick-release of water for desilting or flood alleviation. 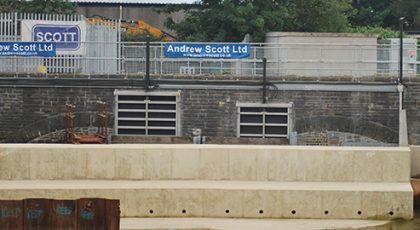 It allows very accurate level management, and also can be used as an alternative to a KKS or KKS PE Tilting Weir, if space is limited. 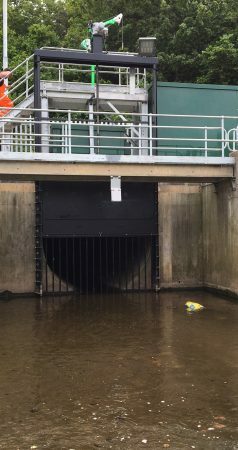 The DKOS Double leaf Penstock has two weir plates which pen water, with the lower acting as a barrier, and the upper allowing adjustment of the pen level. 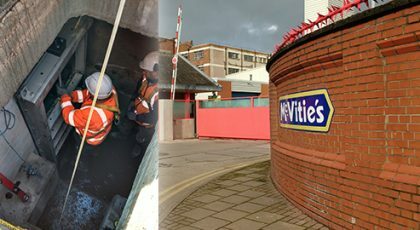 As required, the lower plate can be raised to flush the watercourse, discharge water quickly, or even clear the water altogether to allow natural flow. 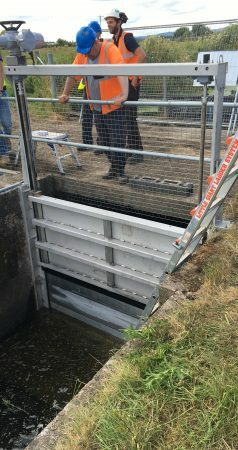 Having many of the same advantages as other ACE Penstocks, using HDPE and Stainless Steel 316L in their construction makes the DKOS double leaf penstock relatively lightweight yet very durable, easy to install (commonly with no grouting) and virtually maintenance free. 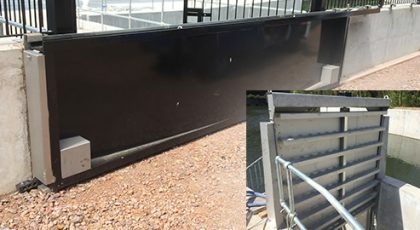 DKOS Double leaf Penstocks can be wall, channel or rebate mounted, with all the mounting accessories supplied in the ACE package- the majority of DKOS Double Leaf penstocks can be bolted and sealed to the wall in less than a single shift, with no fiddly setup. 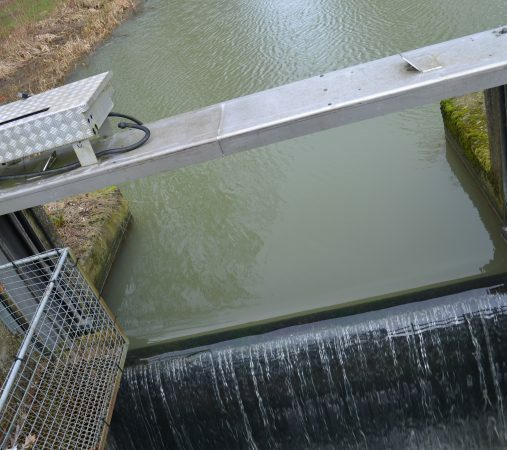 The DKOS Double leaf Penstock is available with manual drives, or electrically operated, along with automation if desired. 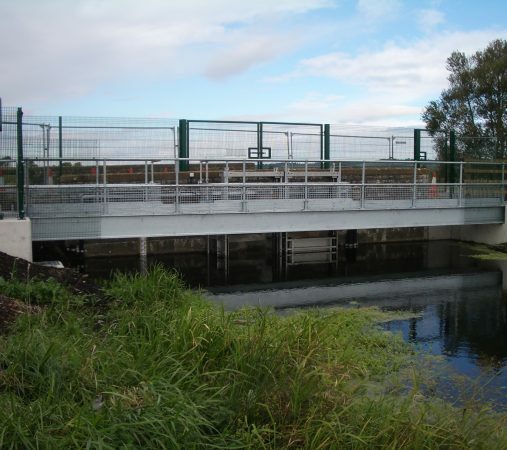 There are also lift-height options to ensure sufficient clearance is provided to allow unhindered water flow. 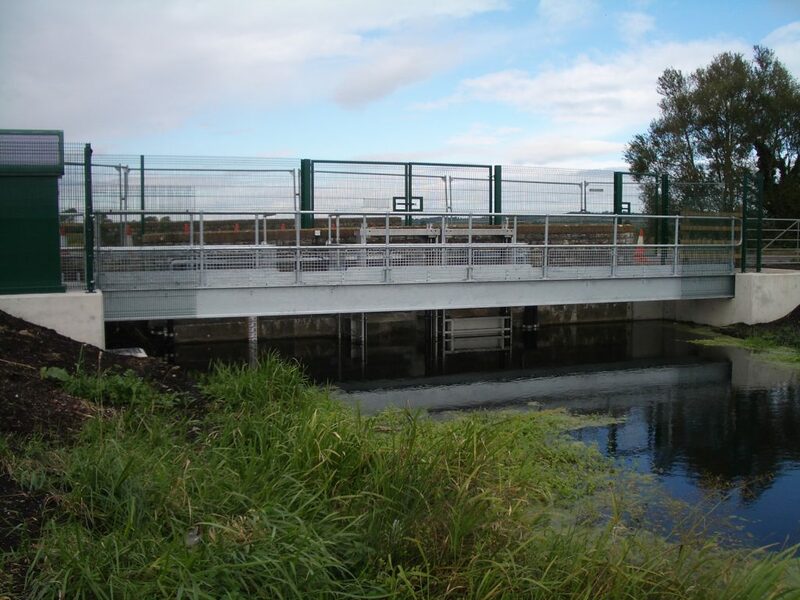 DKOS Double Leaf Penstocks are designed to your specific requirements and our standard arrangements can be adapted to save complicated construction, or modification to existing structures. 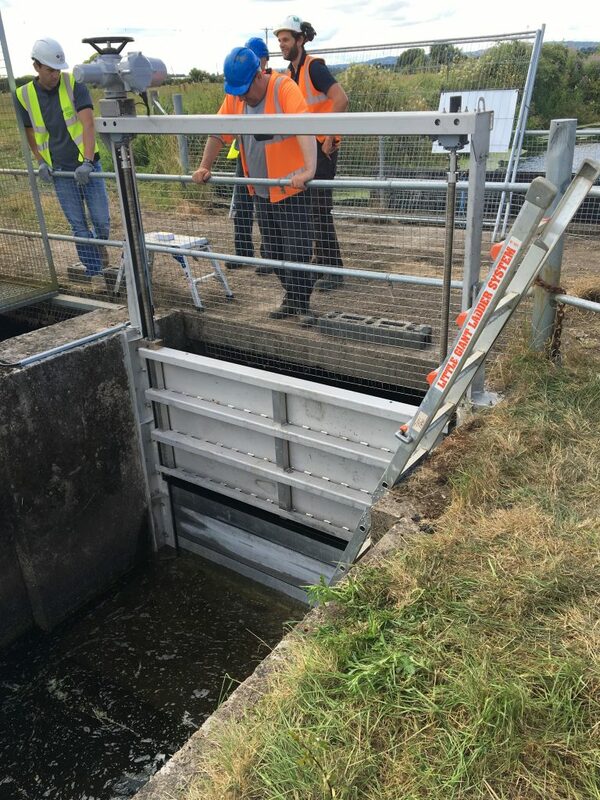 Although most DKOS penstocks have two moving plates, ACE can also provide customised penstocks with fixed plates, or trash screens in place of sluice doors- if you have any special requirements please contact us. 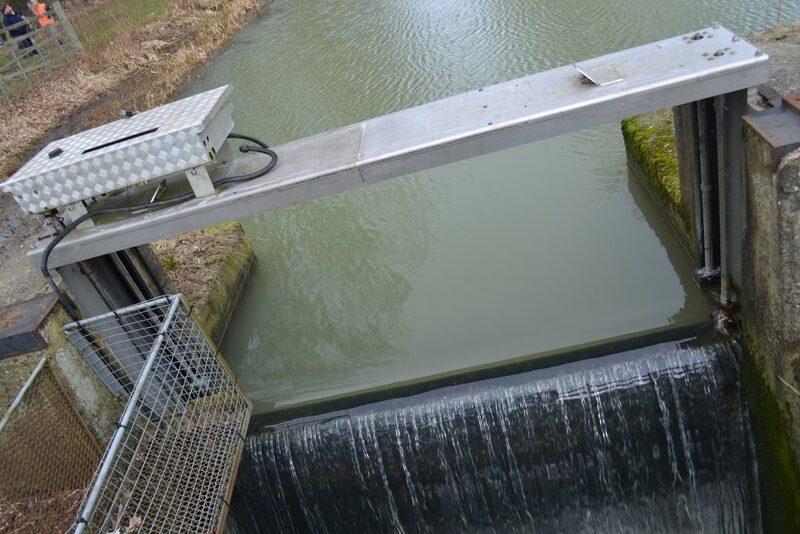 For more details on the DKOS Double leaf penstock, or any other equipment, please contact us.